Personal Trainers-Does Emotional Intelligence Impact On Your Clients Results? Personal trainers have the difficult task of not only managing themselves but also the hundreds of clients they will see throughout their careers. This includes managing their workouts, re-assessments, and their emotions – yes, their emotions. Emotional intelligence (EI) is the ability to identify and manage both your own and the emotions of others. It is generally said to include three skills: emotional awareness, the ability to harness emotions and apply them to tasks, and the ability to manage emotions. High EI allows success in many areas of life, including personal training. 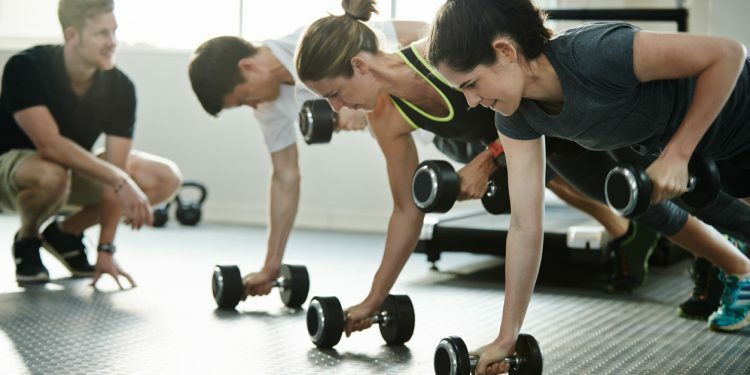 Trainers must have the ability to understand and solve the complex interactions that arise in the health club or gym; from resolving disputes to negotiating personal training packages. Successful trainers need to read signals from clients as well as understand their own personal strengths and weaknesses. Emerging leadership theories imply that emotional and social intelligence is important for those in customer service positions because of the behavioural and cognitive flexibility required to effectively navigate the terrain of high-demand consumers. As more and more clients come to the gym powered by Google and the latest weight-loss trend, personal trainers need to read the situation and guide clients with a realistic vision. Good trainers understand human anatomy, grasp the concepts of program design, and know how to execute a program with precision. However, great trainers know how to inspire clients with a vision of change. Trainers with a high EI not only inspire but also support clients to be their very best in more than just health and fitness related goals. While many characteristics of EI may seem innate, there are steps to help improve your EI. Researchers Wong and Law devised a series of items to investigate EI. These items attempted to break the complex components of social intelligence down into a series of simple statements. By rating yourself on the following 16 items from a scale of 1 to 7 (1=least likely; 7=most likely), you’ll be able to see where you fall. I have a good sense of why I have certain feelings. I have a good understanding of my emotions. I really understand what I feel. I always know whether or not I am happy. I always know my friends’ emotions from their behaviour. I am a good observer of others’ emotions. I am sensitive to the feelings and emotions of others. I have a good understanding of the emotions of people around me. I always set goals for myself and then try my best to achieve them. I always tell myself I am a competent person. I am a self-motivated person. I always encourage myself to try my best. I am able to control my temper and handle difficulties rationally. I am capable of controlling my own emotions. I can always calm down quickly when I am angry. I have good control of my emotions. Questions 1 through 4 is specific to your understanding and expression of your own emotions. People with this ability know how they’re feeling why they’re feeling it before other people do. Action Step: Spend more time thinking about what may have happened to assist in generating a particular feeling. It is rarely ever one specific event, but a collection of small events. Understanding such events will help boost your EI. Questions 5 through 8 concern others emotions. Those that score high are able to better read others emotions. Statistically speaking, clients have likely failed at least once at reaching their goals and may seriously fear another possible failure. Recognizing these emotions and communicating them clearly to the client, before they even know what they are feeling, will ensure long-term success. Action Step: Improve by simply asking people how they feel. As with most things, the more you get in front of clients during an interview or re-assessment and read their expressions the easier it will be to know what they’re feeling. Questions 9 through 12 test the use of emotion to direct performance and goal setting. Those that score high in this section are better able to use their emotions for motivation to reach goals. Study after study supports that those who are self-driven are much more likely to obtain their goals. Set attainable goals often. Make them small, but meaningful. Tell yourself you have the ability and knowledge to attain whatever goal you choose. If for some reason you don’t have the ability or knowledge, get it. While this may take longer you will help build your own drive and motivation, facilitating better EI. Motivation is like a muscle. It will strengthen with time and use. Strive to come from a positive motivational state. Moving toward a positive feeling will generate more consistent action than moving away from a negative one. Questions 13 through 16 evaluates whether or not you’re able to keep your emotions under control when needed. We all know the power of effective goal setting, but understanding how emotions effect goals towers over simply setting goals. Understanding you and your client’s emotions can help to cut off destructive behaviours before they begin. Action Step: Talk to your clients often, very often! Find out when they are feeling their best and when they are struggling. After only a few short weeks you’ll be able to anticipate when the negative emotions are coming and plan accordingly. Emotional intelligence is referred to by some as “common sense.” While it’s true that most can normally read social situations, being able to accurately read emotional situations is much more challenging. Working out is very emotional for many. By taking the time to pay attention and talk with yourself and your clients, you will soon be connecting with people on a much higher level, guiding them to goals they never believed possible. Teixeira, P.J., Silva, M.N., Mata, J., Palmeria, A.L., & Markland, D. (2012). Motivation, self-determination, and long-term weight control. International Journal of Behavioral Nutrition and Physical Activity, 9(22), 1-13. Wong, C.S., & Law, K.S. (2002). The effects of leader and follower emotional intelligence on performance and attitude: An exploratory study. The Leadership Quarterly, 13, 243-274.